SASCO on Wednesday said it would protect tertiary institutions from what it claimed was violence instigated by the EFF. “If they want to continue their hooliganism and burn our institutions, we have now taken a decision to say we are going to protect those institutions ourselves,” South African Students Congress secretary general Tembani Makata said. Sasco president Thabo Majola said the EFF should stop threatening students to participate in their protests. EFF Student Command leader Mpho Morolane was surprised SASCO was blaming it for violence on campuses. Morolane said he was disappointed by SASCO. 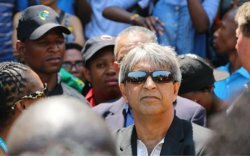 Wits University vice-chancellor Adam Habib on Monday warned Police Minister Nathi Nhleko that some students were calling for their own version of the Marikana massacre to advance their cause for free education. On Tuesday, students and police clashed as Wits University reopened its doors. Seventeen students were arrested. Police fired rubber bullets and teargas at students after they attempted to break a police chain. Some students threw stones at officers. International relations lecturer David Hornsby, students, and police officers were injured. The South African Student Congress (Sasco) is losing confidence in Cabinet, particularly President Jacob Zuma and his deputy Cyril Ramaphosa, it said on Wednesday. “They have dismally failed to co-ordinate their team in ensuring that it co-operates and finds the money to fund this priority of both the government and the ANC,” Sasco leader Thabo Majola said, referring to free higher education. SASCO was extremely angry at the ANC and Cabinet for failing to treat the student protests with the “urgency and political boldness it deserves”. Zuma had failed to ensure his Cabinet implemented ANC policies on free education, and to provide the leadership to solve the impasse between students and Higher Education Minister Blade Nzimande. SASCO decided at its national working committee meeting on Tuesday that Zuma and Ramaphosa had to meet student leaders in less than a week. He claimed ANC sub-committee chairperson on education, Naledi Pandor, did not support free education. Ministers of police Nathi Nhleko and state security David Mahlobo‎ had to be held responsible for the destruction of property and violence on campuses. Nhleko had to be held responsible for the violence police directed at students, Majola said. On Tuesday, students and police clashed as Wits University reopened its doors. Seventeen students were arrested. Police fired rubber bullets and teargas at students after they attempted to break a police chain. Some students then threw stones at officers. International relations lecturer David Hornsby, police officers, and protesters were injured. Student protesters have periodically shut down a number of campuses nationwide as they called for free education. This followed Nzimande’s announcement on September 19 that tertiary education fees would increase by no more than 8%, but only for those students who could afford it. Wits decided late on Tuesday that it would close its doors until next Monday, to hold talks with students about access to higher education. 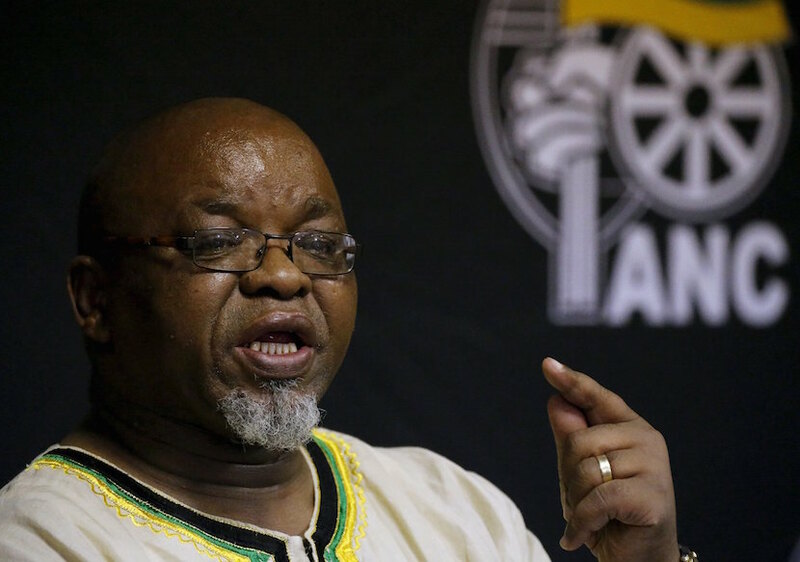 The ANC’s critics are creating the impression that the party has done nothing to improve access to higher education, ANC secretary general Gwede Mantashe said on Wednesday. “People refer to the Freedom Charter and they read the headline, stop there, and say therefore you are offering free education,” he said at the opening of the Black Management Forum’s annual conference in Midrand. African National Congress (ANC) Secretary General Gwede Mantashe. However, the authors of the document said access to university education should be granted on merit, he said. Basic education should be free and compulsory. He said his comments recently that universities should be closed for six months if destruction of property on campuses continued, had opened him up to insults. “Some of you send me messages,” he said. Mantashe told journalists on the sidelines of a trade union conference in Cape Town last month that if he was higher education minister he would shut down universities for six months to teach students a lesson. ANC Youth League president Collen Maine said his comments were reckless. “When you go to university, you are not doing it for Blade, you are doing it for yourself,” Mantashe said, referring to the higher education minister. He told the audience that when his daughter lost focus on her studies, he allowed her to take a gap year. She subsequently did well in both her academic career and personal life. He said the party was open to suggestions regarding Gauteng’s e-toll system. It was adding to the middle class’s debt and bond repayments. He called on young professionals to come up with ideas about e-tolls, instead of demonstrating against the party and threatening to teach it a lesson in the 2019 elections.